Chrissy Teigen couldn't resist a chance to troll husband John Legend on Twitter on Sunday — and her tweet, as usual, was comedy gold. We're pretty sure you're aware that their second child, Miles Theodore, was born on May 16 (a few weeks early, according to Teigen's social media). Teigen tweeted a shot — from her couch, where she was parked with baby Miles — of her husband being interviewed on TV at the Billboard Music Awards. Her "Wow didn't u just have a baby John smh go take care of it !!!!!! disgusting" tweet was pure awesomeness — and a jab at the double standards that women and men experience when they become parents. After giving birth, it can feel like moms (celeb or not) are expected to be tethered to their infant 24-7. Not so much for (famous or non-famous) dads though, eh? Teigen's long been a target of mom-shamers on the internet, and to see her flip the dialogue in her usual sasspot style is pretty delightful. And predictably, her loyal followers went nuts over the tweet. "How dare he leave the house so soon after having a baby. What a bad parent. Omh crucify him… oh wait he's a guy, carry on. You are doing a great job…keep roasting!" said one. "Omg who is home with the child?! And how did he get his body back so fast?!" tweeted another. 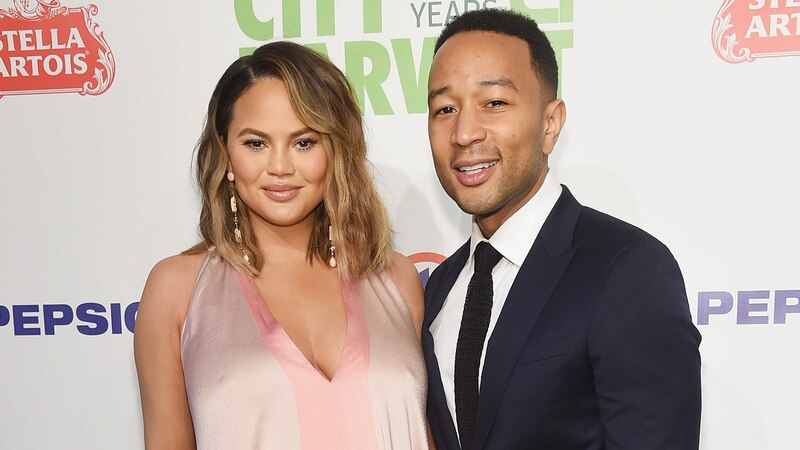 Another joked, "BREAKING NEWS: John Legend abandons Chrissy Teigen and her newborn child! Exclusive interview! YOU WON’T WANT TO MISS THIS! CLICK NOW FOR A $5000 AMAZON GIFTCARD!" And here's what makes Teigen and Legend #CoupleGoals: Less than 30 minutes after Teigen's teasing tweet, Legend saw it from the BBMAs and tweeted back, "true true." And then Legend let her know (via Twitter, naturally) that he was most definitely hurrying home for dinner and family time with a video clip, captioned, ". @chrissyteigen did somebody say short ribs?" This celeb family is one of our favorites, no contest. And we predict that their daughter, Luna Simone, is going to be a great big sister to baby Miles. Keep on keeping on, Teigen-Legend posse. And Chrissy, don't you dare ever quit Twitter. We wouldn't know what to do with ourselves.